This past week, The Brit and I were finally able to celebrate his birthday in the Napa Valley. 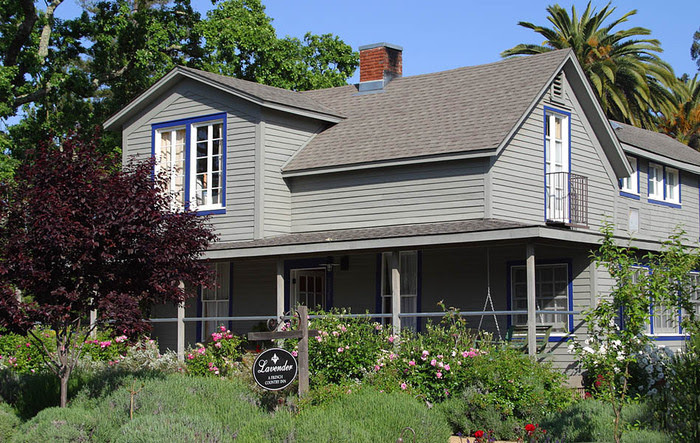 Our reservations at the Lavender Bed and Breakfast Inn were postponed due to the storms that made it unsafe to travel there a few weeks earlier. We were lucky that the hotel was so flexible and willing to accommodate us. Lavender has excellent customer service and it showed throughout our visit and experience with them. 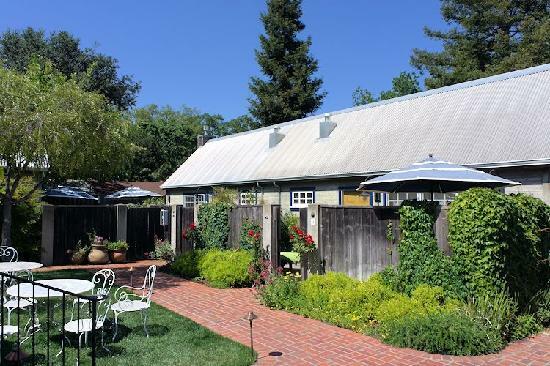 Lavender is located in the heart of downtown Yountville, close to all of the fabulous restaurants, shops, and tasting rooms. One of the reasons we chose to stay there rather than make the 30-minute drive home is so we could relax and enjoy ourselves without the worry of driving after consuming alcohol. 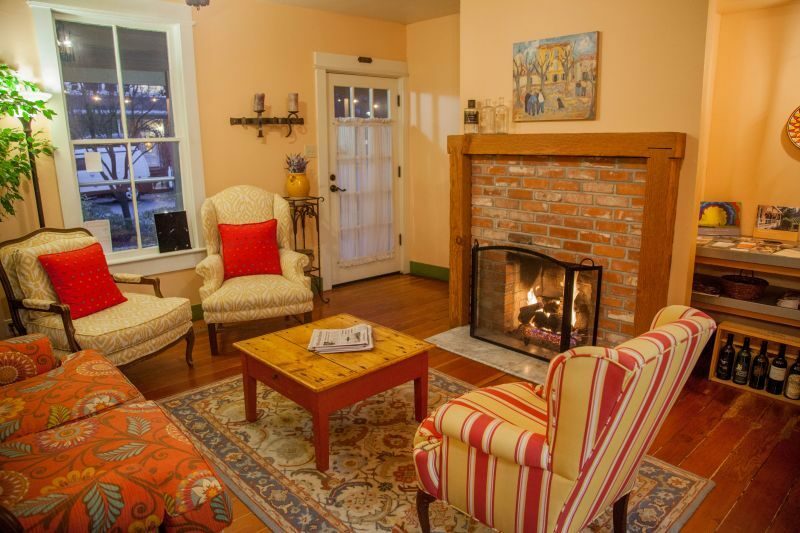 Besides, who wouldn’t want to stay in an adorable and romantic bed and breakfast with the person you love? The hotel has been created from a historic farmhouse that was built in the 1850’s. The style is classic craftsman and it has been updated to be comfortable and modern; without losing any of its many charms. The back garden space has been turned into single-story bungalow style rooms that give you a feeling of privacy as opposed to staying in a massive hotel. When we arrived we were greeted by a very soft spoken, sweet young man who showed us up to our room. 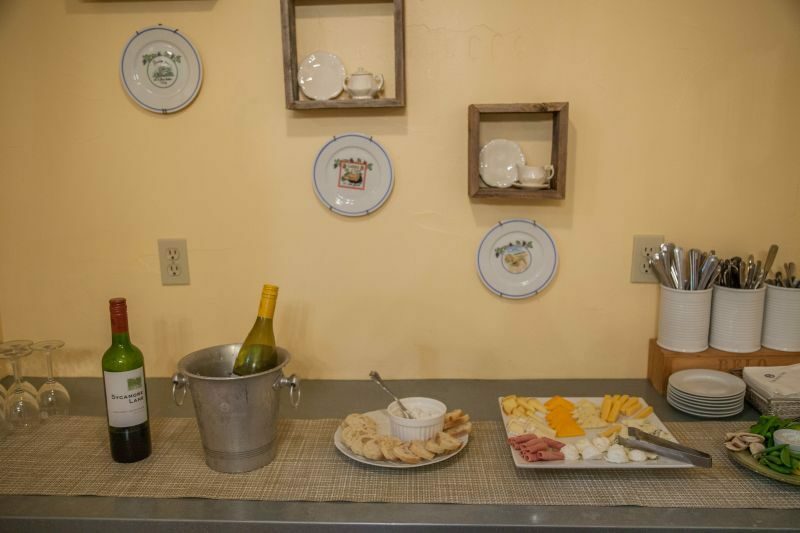 As we passed through the reception area to our room, our host pointed out all of the important things like the complimentary wine and cheese station, along with the fresh cookies, water, and other amenities. It was a very nice touch. Our room was stunning. Simple, yet elegant and beautifully appointed. We were staying in The Loft Suite. It comprised a living room area that was furnished with a window seat, a comfy sofa, tub chairs, a television, a refrigerator, and drink station. The living room featured its own fireplace (you can’t see in this photo) which gave the space a romantic touch. The Brit comments: In the fridge were a couple of sealed glass milk bottles which were filled with water; a far better choice for the environment than using plastic bottles. 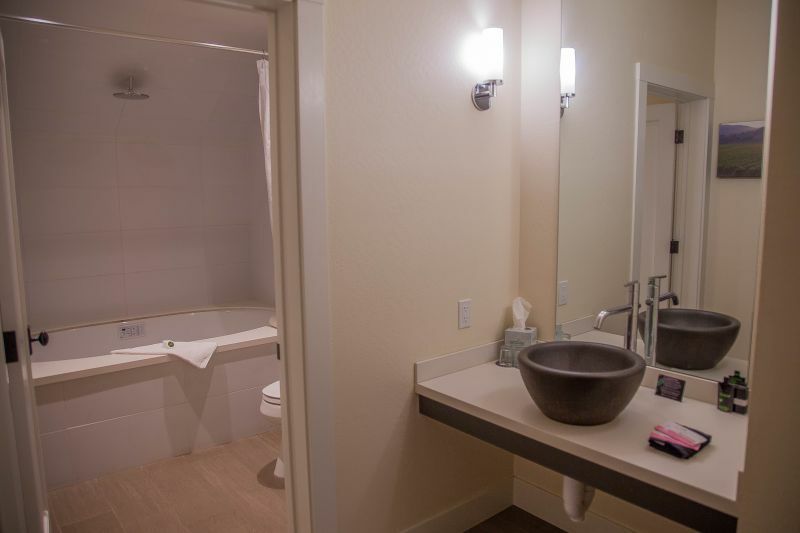 The bathroom had a huge whirlpool bathtub for two, separate vanity and sink space. It was filled with all kinds of thoughtful little extras that gave us the feeling of being pampered. 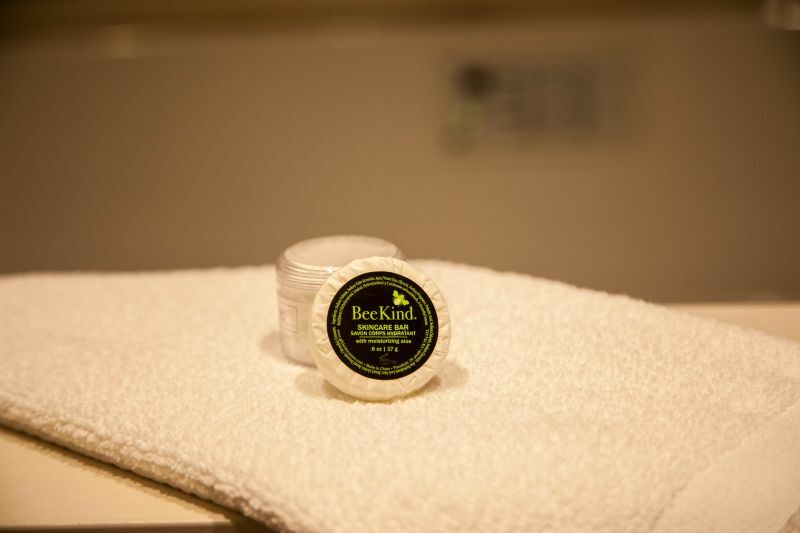 Quality bath products, lotions, shampoos, and conditioner were provided from the BeeKind company. There were plenty of fluffy towels provided for our use in both the bathroom and the vanity area. Our bedroom was lovely. 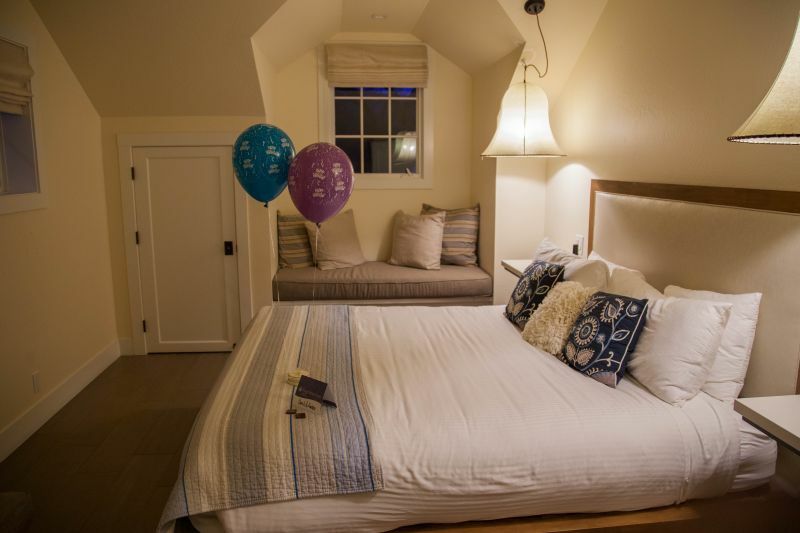 On top of the very inviting looking bed sat a birthday balloon and a small box of chocolates. We were both touched by the thoughtful gesture. The bed was adorned with a fluffy white duvet and comfy squishy pillows. Perfect for romance and sleeping in late. Linens on the bed were soft and high thread count so it encouraged us to linger and relax. Our plan had been to eat dinner at Redd that evening, but we were already so full and satisfied from our day of wine tastings and lunch at Solbar that we just couldn’t face another big meal. 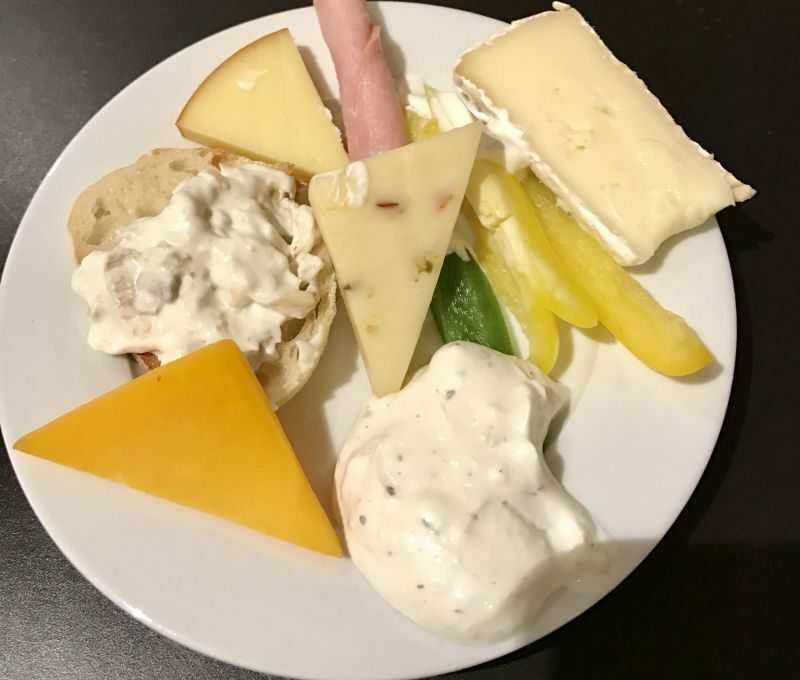 Instead, we ended up enjoying treats from the complimentary cheese, meat, and veggie trays we saw in reception and enjoyed glasses of wine while watching the fire. The next morning, we grabbed a cup of coffee from our room’s Keurig coffee machine as we slowly woke up. Once we felt we could be sociable, we sauntered down to the breakfast room. What awaited us was a lovely spread of food with plenty of choices to satisfy just about everyone. 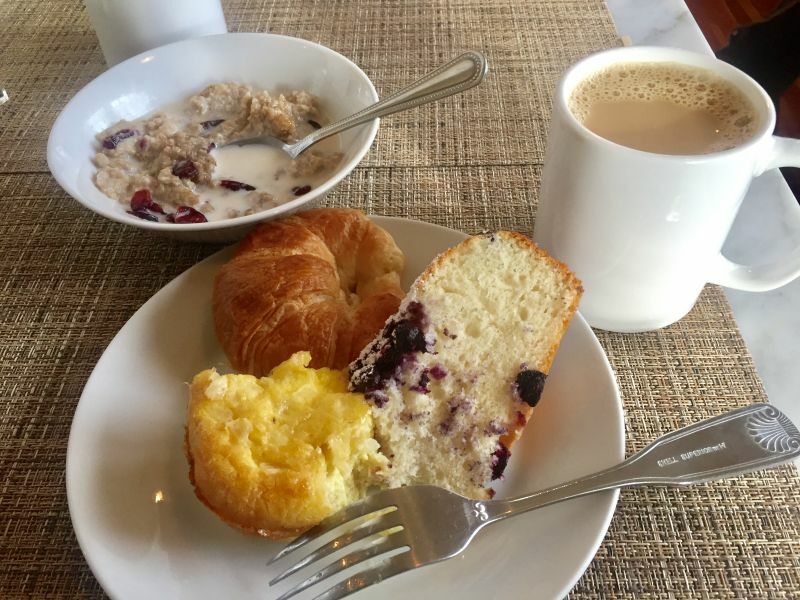 They had a choice between hot crockpot oatmeal, cold cereal, fruit, baked egg casserole, toast, miscellaneous pastries, bread, and coffee cake. I really enjoyed the oatmeal as it was laden with cinnamon. All of the food was nicely presented and tasted good. The Brit comments: I went for a simple breakfast of cornflakes, coffee, and jam slathered bread. The ambiance of the fireplace in the reception area next to where we ate gave breakfast a cozy feel. It was a pleasant way to start our day before venturing out into the terribly stressful job of drinking even more fabulous wine and tasting amazing cuisines. It is a hard life, but someone has to do it right? Lavender really caters to couples and in my opinion adults. I saw many couples and small groups of family and friends during our stay. 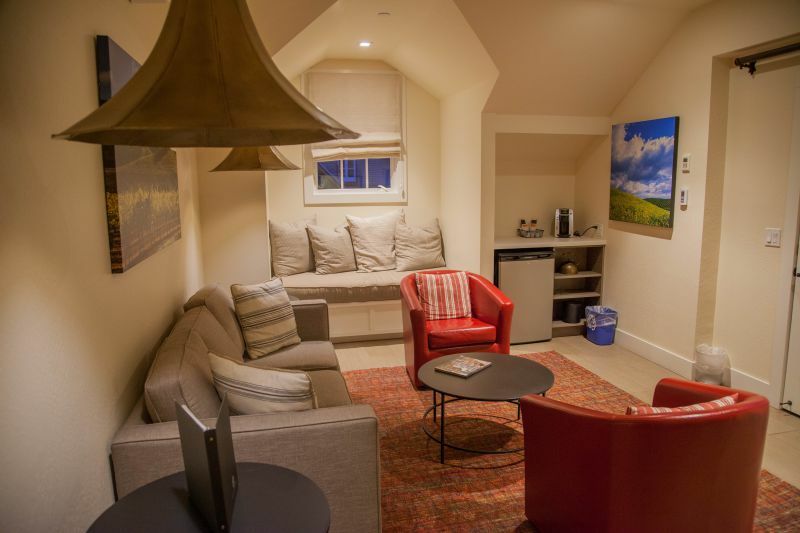 It is a perfect getaway that serves as a perfect central base for wine tasting, dining, and experiencing all that Napa Valley has to offer. 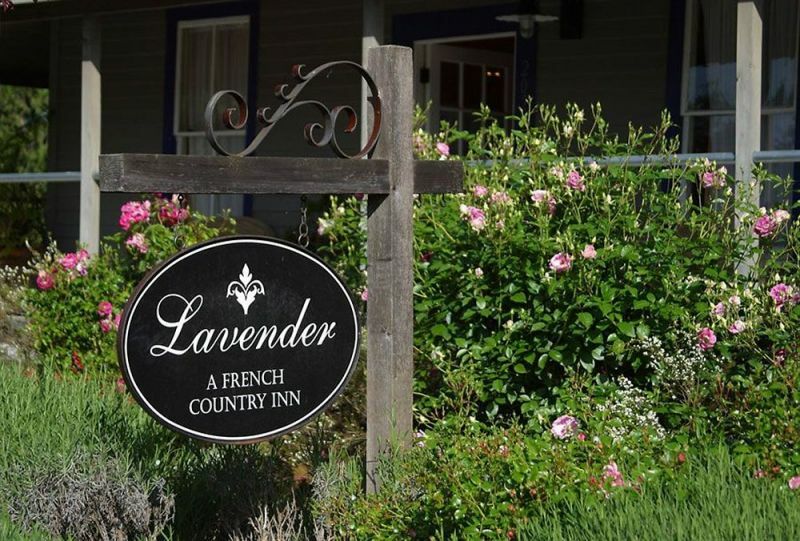 To sum up our stay at Lavender, we both really loved it and would highly recommend you stay in this adorable place.